As we hang on the edge of our seat and prepare for the release of Oz: The Great And Powerful, the much anticipated fantastical interpretation of 1939’s iconic film, The Wizard of Oz, OPI is teasing us with pics of their hottest new upcoming color launches. The 7-piece line is packed with glitter and pretty pastel shades, which are on track to be some of the hottest colors of the spring fashion season. 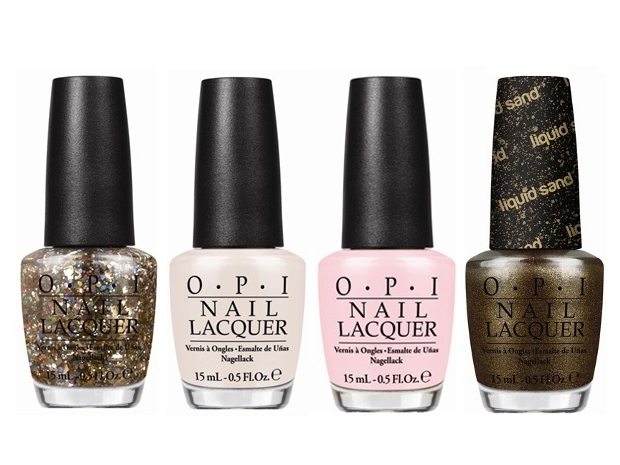 The movie and the nail polishes will both come out in March 2013, but you can have a sneak peek at this glittery color collection here! 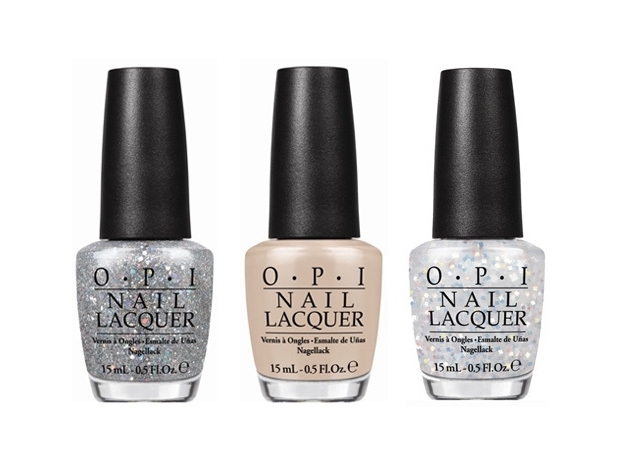 As always, we have the witty names along with the hot shades of OPI’s latest debut: From right to left: Monkeys Fly, Glints of Glinda, I Theodora You, Liquid Sand in What Wizardry Is This? Liquid Sand is a cool new innovation from OPI — developed for the Mariah Carey collection — that gives your manicure a grainy, textured finish- as if you doused your nails in wet sand. Ever on the search for new manicure ideas, I love the concept, but I’m not sure how well it will transition into everyday life. Will I be picking at it? Will it get snagged on my tights? If you try it out before I do, let me know your results! From right to left: Which is Witch?, Glints of Glinda, Lights Of Emerald City. The combination of sparkles and nudes in this collection is a total hit for late winter nail art. As the weather warms up, these crisp hues will transition you into light and airy spring looks effortlessly. Still, some of the colors leave me a little confused? Excuse me for being so literal, but why no ruby red or emerald green? (Especially since Pantone recently named emerald the trend color of 2013!) What do you think of this new collection? When I heard about this set coming, I was expecting “Ruby Slippers Red” and “Emerald City Green” and “Yellow Brick Gold”…maybe even a witchy black. What happened? When I think of the Wizard of Oz, I don’t think of pastels. These are pretty but not what I was expecting. Thanks anyway. Agreed- I was actually torn between first thinking it was great that OPI didn’t go with the most obvious and expected shades and being happy that the shades were so wearable. But then I missed the bold emerald! So awesome! I can’t wait to see the pretty displays in the stores. I totally agree that it’s a great twist on a classic, while still remaining true to the classic. I wonder if when we see the movie we’ll think the colors are even more perfect?